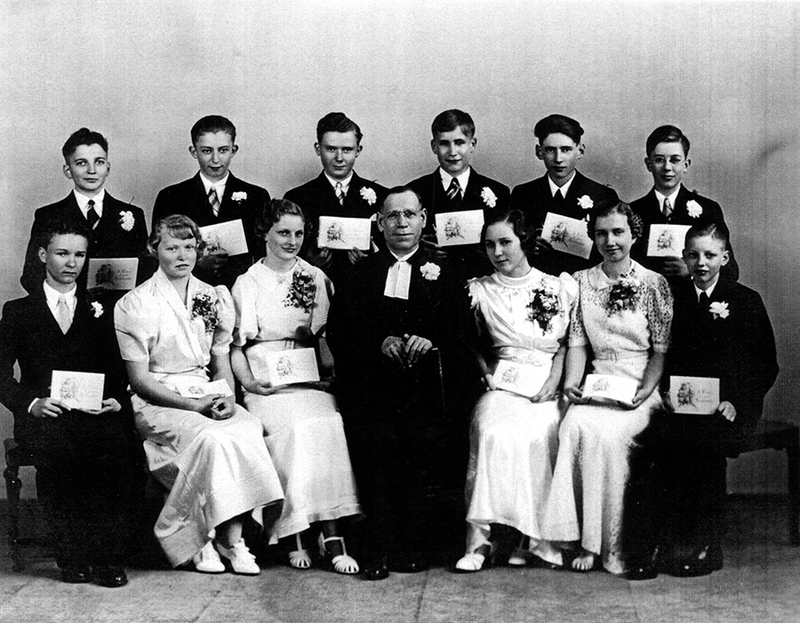 The St. Pauls Evangelical and Reformed Church Confirmation Class of March 21, 1937. Front row from left to right: ?, ? Naft, Catherine Zimmerman, Rev. Elias Hergert, Lydia Zimmerman, Virginia Schott, Robert Schafer. Back row from left to right: Edward Nagel, Alex Schwindt, Edward Gideon, ?, ?, William Taylor. Photograph courtesy of Sue Hendrickson-Eller (née Miller) who identified the class members.